Ibrahim Tatlises Height, Weight, Net Worth, Career, Highlight & Facts. Tatlıses was born in 1952, Urfa (Şanlıurfa), in the southeast of Turkey. 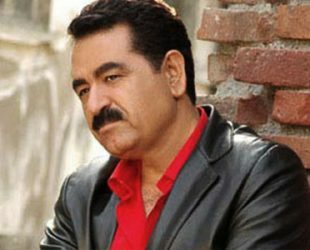 He has recorded 42 albums, including notable albums such as Ayağında Kundura, Selam Olsun and Sarhos was the host of the highly popular television programme İbo Show. He was also a leading actor that appeared in several dozen films and also worked in the restaurant and tourism businesses. İdo Tatlıses, Dilan Çıtak, Ahmet Tatlı, Gülden Tatlı, Melek Zübeyde Tatlı, Elif Ada Tatlı. Ibrahim Tatlises has been shot and seriously wounded in an attack in Istanbul. The singer, known as Emperor and one of Turkey’s biggest stars, had just left a TV studio shortly after midnight, and was about to leave by car when he was attacked in 2011. In the 1980s the Turkish government had banned the use of Kurdish; at a concert in Sweden in December 1986, he had sung folk songs in Kurdish and was thus prosecuted for separatist propaganda, but found not guilty in 1987. In 1994 there were evidence that Turkish counter-guerrilla organizations targeted Kurdish businessmen, including Tatlıses, Idris Ozbir, Halis Toprak, and Necdet Ulucan. In 1998 it was reported that Tatlıses offered to be an intermediary between the government and the Kurdistan Workers’ Party (PKK) during the armed conflict.